Being a great fan of jazz, rock n’roll, punk & NYC new wave music, I’ve always taken my camera along to shoot concert photography. Being a concert photographer is the epitome photojournalism, as its just you and your camera, and the person on stage. Music and concert photography has always been among my favorite things to photograph and New York City has been a great place to be for this as there are so many great concert venues here. For many years I was fortunate to shoot for DownBeat Magazine, one of the premier jazz magazines. 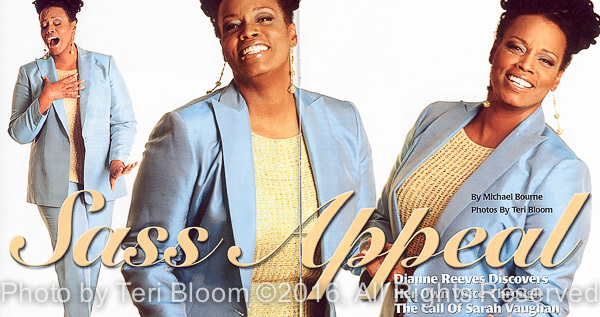 Here’s a published spread of the wonderful vocalist Dianne Reeves. She is an amazing talent and was such a pleasure to work with! You can see more of my music photography here.